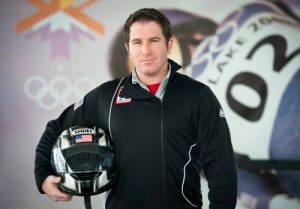 Jeremy Holm is a bobsled pilot, author, motivational speaker, and graphic and web designer. He is also the former head coach for the United States Adaptive Bobsled Team. He is the author of the books The Champion’s Way and Fire on Ice. Born in Phoenixville, Pennsylvania and having lived in Oklahoma, Holm has been participating in the dangerous winter sport of bobsledding since 1997 when he was attending Skyline High School in Salt Lake City, Utah. He served a mission in Honduras, attended Salt Lake Community College (SLCC) and BYU, and has gone on to coach some of the world’s first Paralympic bobsled athletes, become a motivational speaker, and work in web and graphic design. Through his books, speaking and other platforms Holm has covered many issues and is passionate about eliminating the stigmas that surround mental illness and suicide. Holm himself has battled depression and anxiety throughout his life, but hasn’t let that stop him from sharing what he believes and pursuing his various interests. He aims to spread a message of hope and to inspire others to serve in their communities through his work. In an article for Meridian Magazine, Holm talked about his various bobsledding experiences and how he’s been able to learn principles about life and faith through the sport. Holm currently resides in Salt Lake City, Utah and can be contacted through his website.